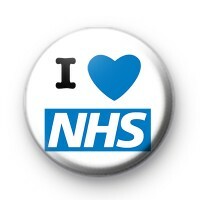 1 inch white and blue I Love (heart) NHS button badge. This is a great way for the public to show their support for our National Health Service. We need to protect this institution from being privatised.